Emmet Kirwan’s play was a hit on the Irish stage, drawing from the author’s own experiences as he played Jason, an aspiring DJ whose life revolves around ‘the session’, but who is stopped in his tracks by a chance encounter with his homeless, heroin-addicted brother Daniel (Ian Lloyd Anderson) after years without any contact. Although Jason is filled with hurt and anger over his brother’s disappearance and looks down on him as a junkie, his own lifestyle is ragingly hedonistic and, as his brother darkly warns, he is just one bad weekend away from following the same path. 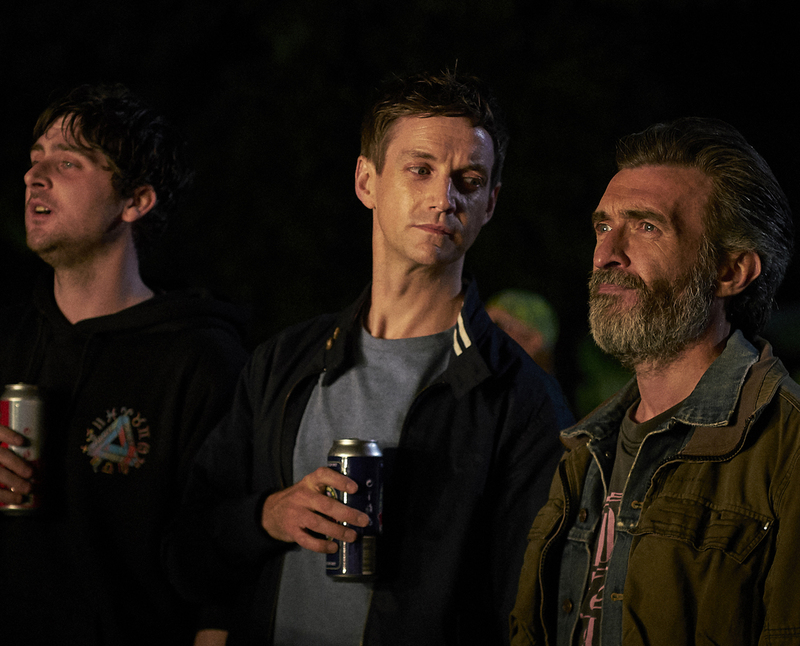 Over the course of a bank holiday weekend, the two take the first steps towards reconnecting, reminiscing over better times and tunes, while Jason juggles his various social engagements, including a possible breakthrough gig, in this lively and kinetic film.